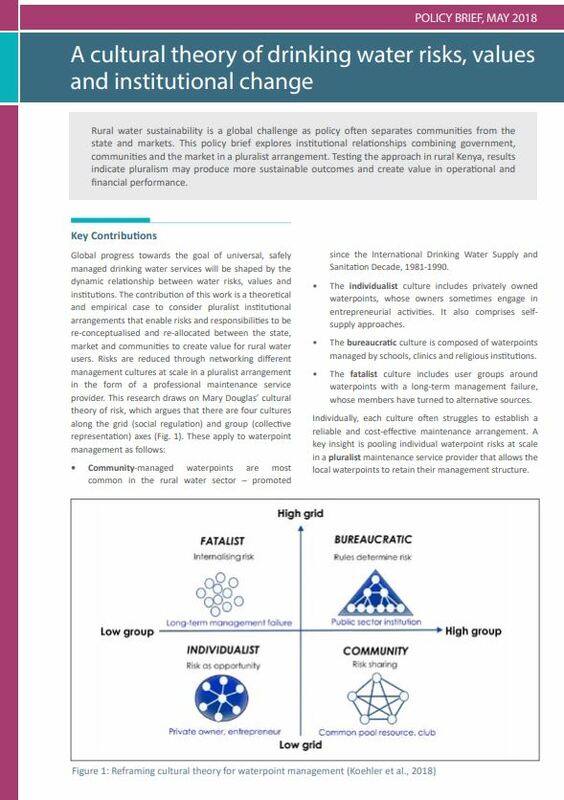 Rural water sustainability is a global challenge as policy often separates communities from the state and markets. This policy brief explores institutional relationships combining government, communities and the market in a pluralist arrangement. Testing the approach in rural Kenya, results indicate pluralism may produce more sustainable outcomes and create value in operational and financial performance.